Rocky Point, Mexico has quickly become one of the best places to take a vacation for anyone looking to enjoy nice weather and beautiful beaches. The incredible variety of vacation homes Rocky Point offers have only contributed to the city’s status as a bustling tourist destination. Marina Picante is a very convenient and beautifully located complex of condominiums that contribute to the area’s sterling reputation as a provider for some of the best vacation opportunities that you can find anywhere. If privacy is what you are looking for, then B Villa 12 could be just the unit for you! 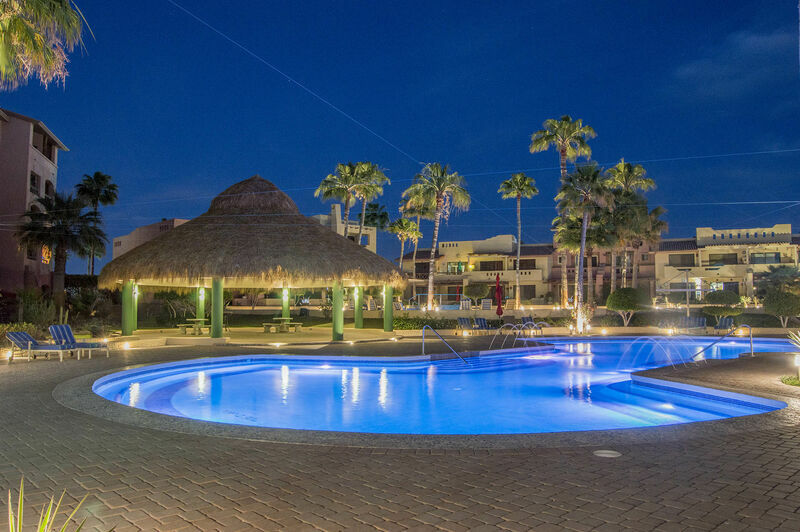 This ground floor pool side villa is one of the finer options throughout the Marina Picante complex and throughout all vacation rentals in Rocky Point. The luxury that awaits you here begins as you walk through the front door to find a beautifully appointed kitchen, perfect for chefs of all types. Here, you will find all the space you need for cooking and storage, wonderfully granite countertops, and all of the state of the art appliances you might need. Just beyond that, you will find a cozy dining room and living room. The dining room offers space for 4 to eat in complete comfort while the living room provides the perfect place to unwind on the cozy furniture after a delicious meal. The bedrooms are nothing short of fantastic, as all the sleeping options offer comfortable beds appointed with fine linens. The master suite offers a king sized bed and private bathroom, while the guest room offers a cozy queen-sized bed and access to the villa’s additional bathroom. Located just north of the port of Rocky Point, this unit puts you right in the middle of all the action, all while providing you with cozy and quiet place to relax. When you aren’t taking a load off, you can wander through the charming streets of the port of Rocky Point, where you will find numerous, authentic shops and eateries, options for activities such as deep sea fishing and tremendous nightlife. The Marina Picante and this unit in particular offer you the perfect home away from home. This is made even more so true by the easy access to a washer and dryer, the community fitness room and by the 24-hour security. Come experience Rocky Point vacation homes as never before at the Marina Picante.